Looking for Hampers that can be delivered Worldwide? Choose from one of our international delivery locations below. Sending hampers & gifts to friends, family and to businesses internationally has never been so easy. 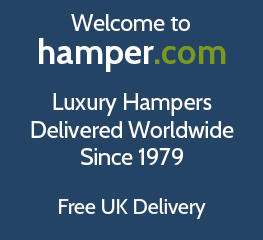 At hamper.com we have 40 years experience in delivering a range of delicious hampers, food & wine gifts and flower bouquets around the world, with free international delivery available to several popular overseas countries. Choose from; send hamper from the UK, this specially selected export range of hampers are suitable for worldwide express delivery, or choose from our range of gift hampers, food gift baskets & flowers with free & fast delivery sent from within your chosen delivery country. Worldwide delivery of luxury hampers, food gift baskets and flowers. Order a hamper today for delivery to international destinations including USA, Australia, Ireland, UAE, Canada, Europe and New Zealand. Order your gift hamper today to be delivered Worldwide with a range of gifts suitable for all occasions. Our international range includes Christmas gifts with free delivery and delivered in your delivery country within a few days. You can order your International hamper or gift basket online as a Christmas present and select the ideal date of delivery right up to Christmas day. So surprise a loved one far away with a Xmas gift that shows you care about them, even if you can't be there during the festive holidays. So order your food hamper for delivery Worldwide today, and don't forget to add a personalised gift message to your order, so your relative overseas knows this great gift is from you back in the UK.